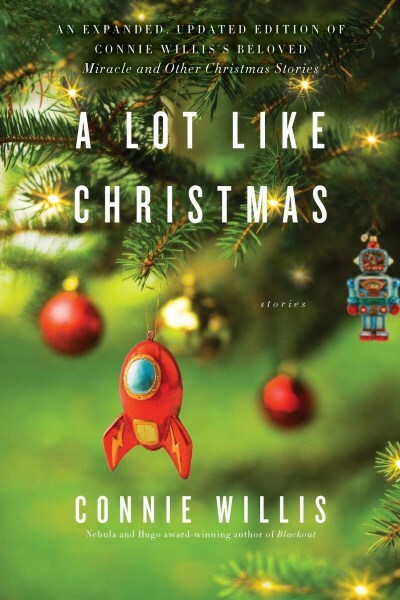 A Lot Like Christmas by Connie Willis is a collection of holiday themed short stories and novellas, each with a distinct fantasy or science fiction flavor. The collection is quite lengthy—it comes in at 545 pages—but because this is a collection and not a novel, many of the stories can be finished in a single sitting. While the overall theme of all the stories is, of course, Christmas, many of the stories focus in on a more granular aspect of the holiday season: Miracle is all about the tradition (and sometimes ridiculousness) of gift-giving; All About Emily mixes in artificial intelligence and the spirit of giving and self-sacrifice; and deck.halls@boughs/holly explores the future of commercialized holiday decorating. Other stories delve into holiday music and what happens when new Christmas movies are released into all-new “mega-theaters.” A Lot Like Christmas covers a lot of holiday ground and, for the most part, does not disappoint. Willis’s writing style is fairly straightforward. Her prose is concise and informative, with nothing superfluous or, on the opposite side of the scale, inadequate or distracting. The characters are a mixed bunch when it comes to personality and motives, but all with the exception of one or two are relatable, likeable, and even endearing. Where this collection really shines is in the content of the stories themselves. Willis has a deep knowledge of Christmas, which she displays in many of the stories in the form of miniscule details or through the sheer breadth of her knowledge. For example, All Seated on the Ground is a journey through decades of holiday music, with nuanced references to particular passages that relate directly to the story. As for the science fiction angle, you’ll encounter aliens; Ghosts of Christmases Past, Present, and Yet to Come; advanced Christmas decorating technology; and even the biblical parents who risked everything for their unborn child. While Willis’s holiday knowledge—or at least her ability to research—is impressive, there are times when the magnitude of details piled onto the reader almost becomes a burden and the stories themselves far too long. All Seated on the Ground is, again, a good example. Apart from all other stories in the collection, this one struck me as far too long with an ending which is not very satisfying. At times, it seemed Willis was extending the narrative simply to justify the amount of time she must have spent sifting through holiday verses. One of the more enjoyable stories was Cat’s Paw, which is a mystery in the spirit of a Hercule Poirot novel. A visit to a country estate where apes and other primates have been given the ability to speak soon turns into a whodunnit murder mystery where it seems everyone in attendance has some motive. Good thing the renowned Inspector Touffet is on the guest list. Soon the game is afoot and a murderer revealed, but only after much intrigue and a series of misdirections lead everyone but Touffet down the wrong path. If you’re looking for something beyond the traditional Dickens to read this holiday season, A Lot Like Christmas may fit the bill for you. Despite a couple of the stories feeling like duds to me, I’m giving it four rockets because there are many more stories I enjoyed than not, and even a few which stand out as holiday gems that I’d love to read each and every year. 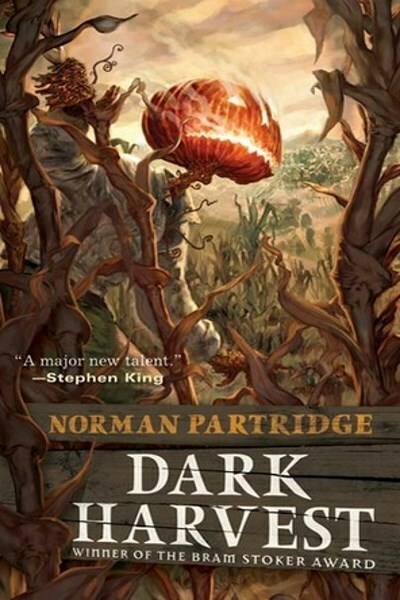 Let me say this straight out: Dark Harvest by Norman Partridge is the perfect Halloween story. 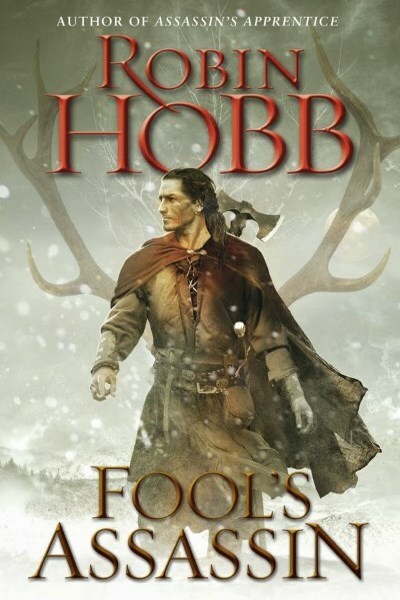 Well-written, engaging, full of rich characters, and with a villain that’s about as sympathetic as you can get all contribute to a true page-turner. Dark Harvest won the Bram Stoker Award and was named one of the 100 Best Novels of 2006 by Publishers Weekly. It comes in at about 200 pages with a style that’s so relaxed it didn’t take me longer than a few hours to finish reading. Part folklore, part small town horror tale, Dark Harvest tells the story of a once a year ritual when, on each Halloween night, a pumpkin-headed creature called the October Boy rises from the cornfield armed with a butcher knife to make his way into town to massacre any he comes across. He isn’t the only one on a rampage, though, because every boy in town from age sixteen to eighteen is out too, armed with knives, axes, chains, and anything else that might carve or crush the October Boy’s pumpkin skull. The boys of the town are on a hunt of their own, the prize to the one who takes down the October Boy a one-way ticket out of town and away from the bleak future otherwise waiting for them if they stay. What starts as a fairly straightforward monster hunt turns into something else entirely as we soon learn that the October Boy is a monster with goals of his own, goals that don’t necessarily start or end with slaughtering the town’s people. We are also introduced to Pete McCormick, on his first Run and eager to kill the October Boy like everyone else until he meets Kelly Haines, who left the town once but came back under dubious circumstances. 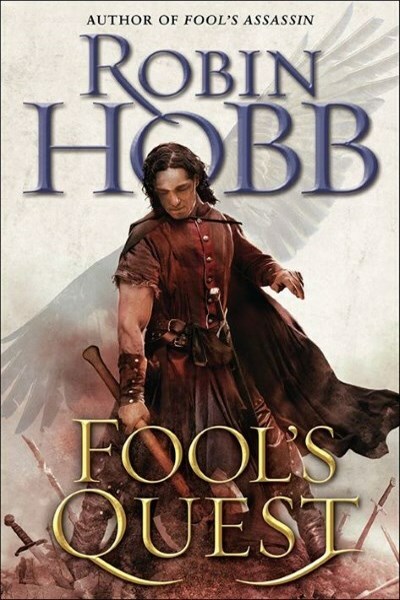 She knows things, things she shares with Pete, so that soon he isn’t so much interested in hunting the October Boy as much as he is just leaving his drunken father and the hopeless town they call home behind for good. But leaving town isn’t any easier than killing the October Boy, especially when you’ve got a psychopathic town sheriff making sure no one ever leaves. Partridge’s writing style really shines and is just perfect for this kind of a story. He isn’t shy about breaking the fourth wall with his narrative, either, pulling the reader right in as if he or she is just another member of the town. The array of characters is another high point for Dark Harvest. There is a certain hopelessness about each. The sheriff, who has committed himself entirely to the annual ritual and is most certainly damned because of it. Pete, and every other teenage boy for that matter, who sees their only salvation in hunting and brutally killing the October Boy. Even the October Boy himself, who slowly reconciles his own existence and is no more comforted for having known it. Dark Harvest deserves the five rocket rating I’m giving it. It’s that good. 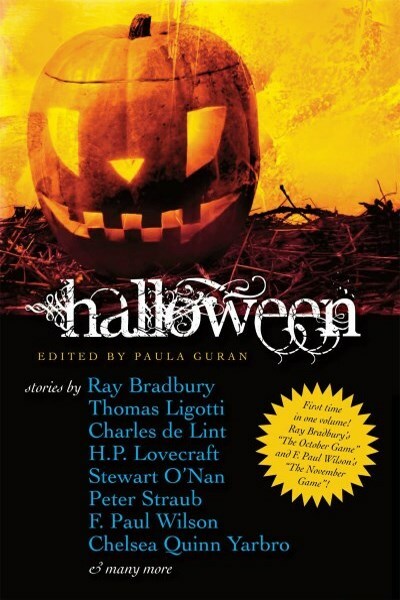 This is a book I could see myself reading every Halloween.